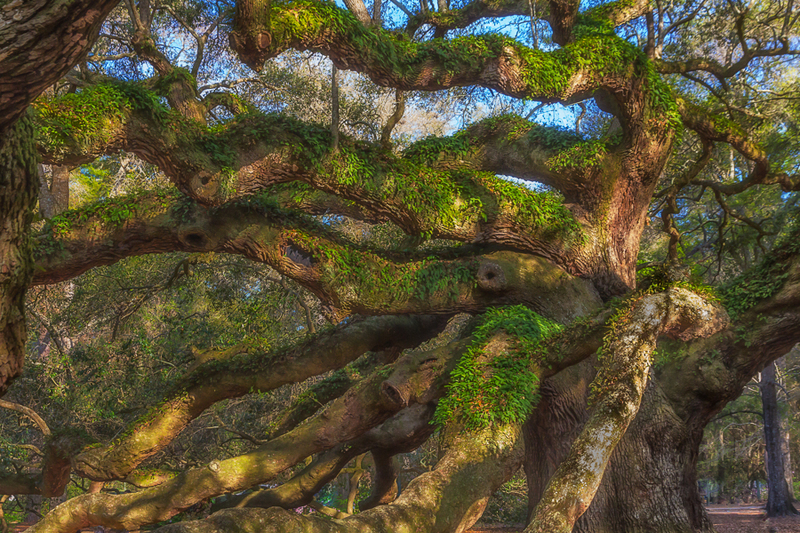 The angle oak tree is a live oak native to SC and the low country. Estimates of its age are as high as 1500 years but no matter its age, it is the most magnificent tree on the East coast.She stands 65 Feet high and has a canopy providing 17,000 square feet of shade. Because of recent rains she is covered in beautiful resurrection fern.